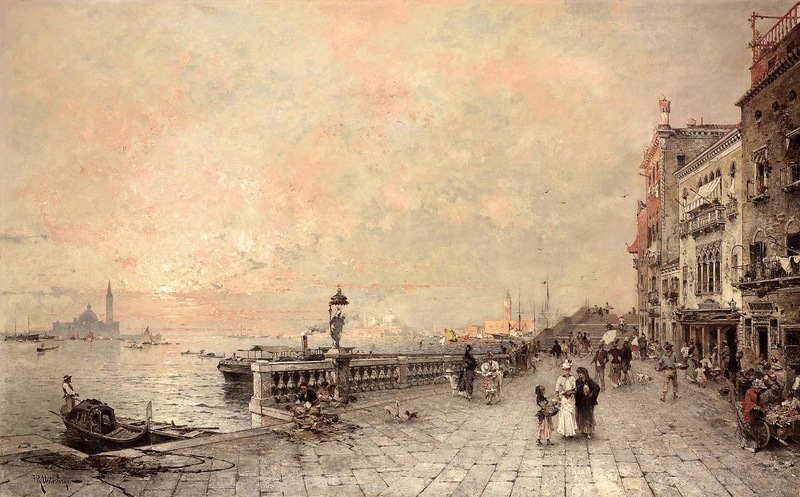 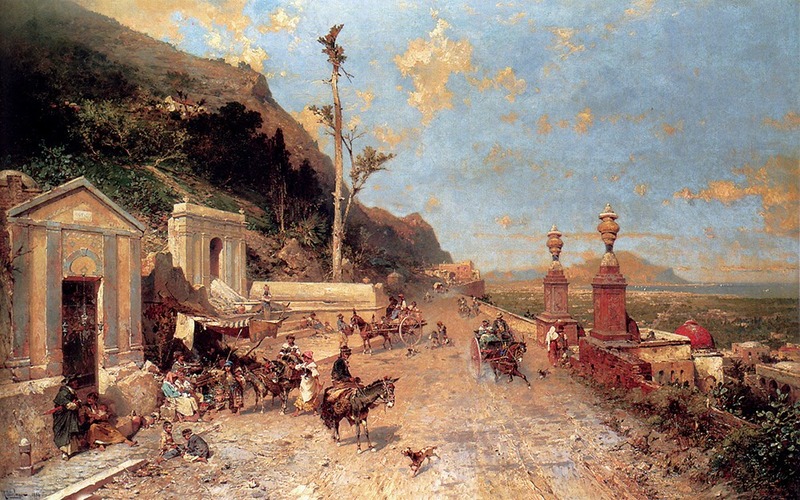 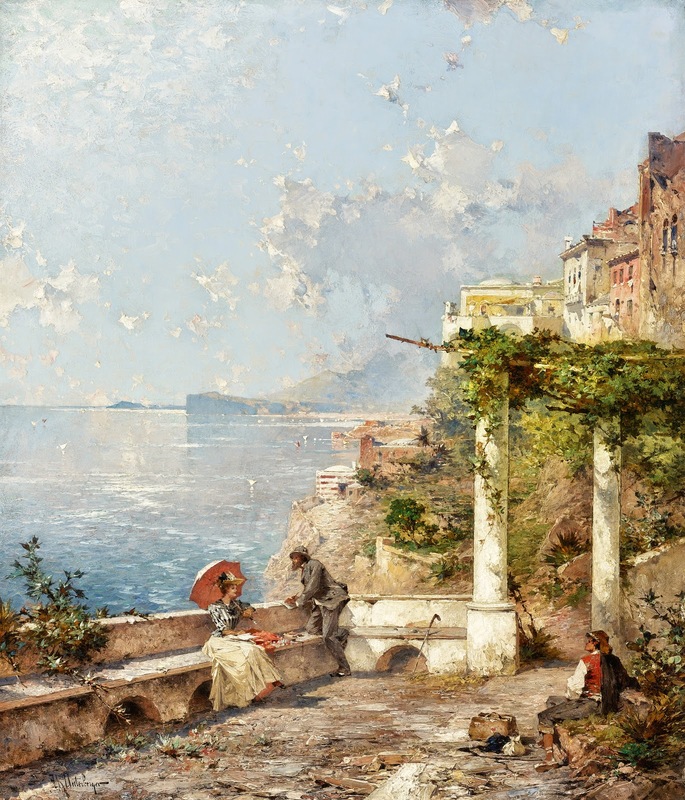 Austrian painter Franz Richard Unterberger [1838-1902], a Romantic style painter of waterscapes, landscapes, architecture and Genre, was born in Innsbruck, in what was then the Austro-Hungarian Empire, on 15th August 1838, one of eleven children of a wealthy bourgeois family. 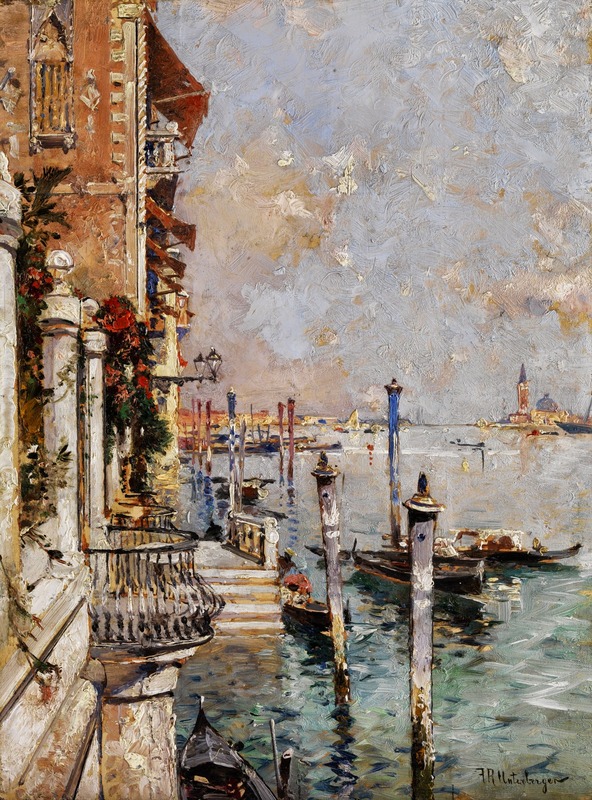 He decided to pursue a career as an artist at a relatively young age and enrolled in the Academy in Munich. 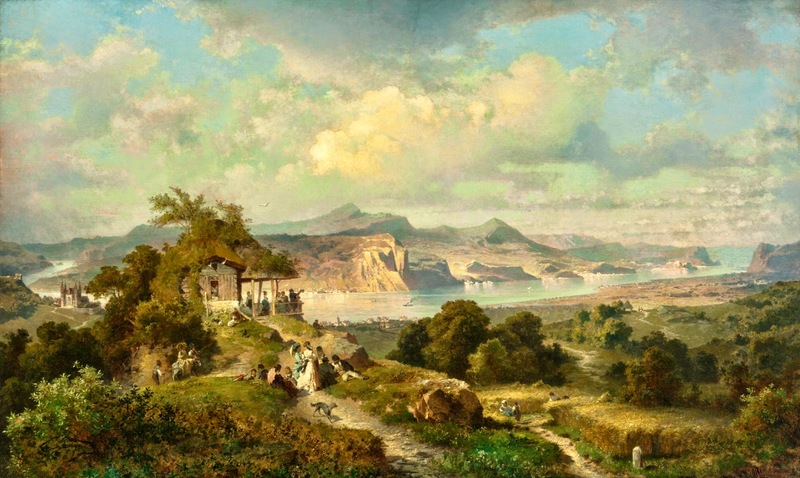 Here he studied with Albert Zimmerman [1808-1888] a professor and landscape painter at the Academy and with Julius Lange [1817-1878]. 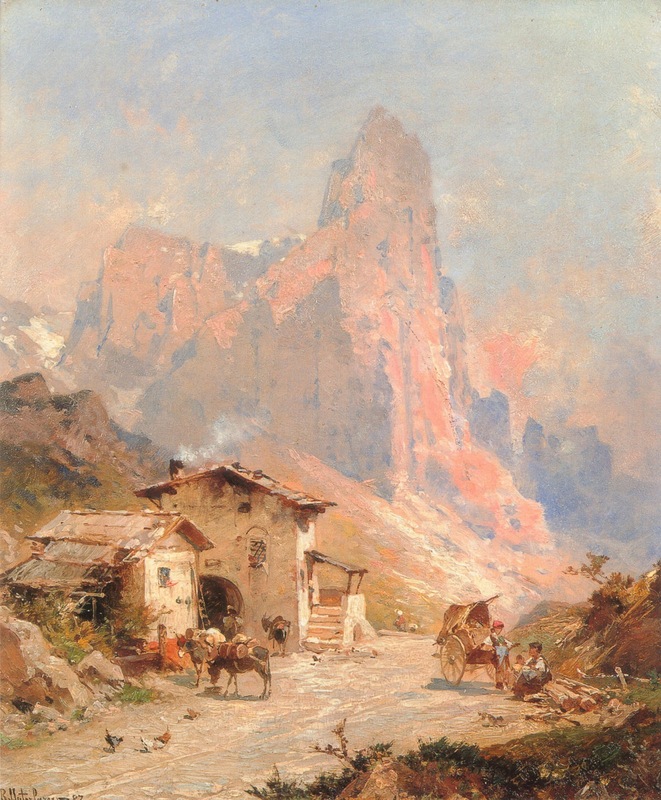 It was as a painter of Alpine landscapes that Unterberger first drew recognition, views particularly set in his native Tyrol. 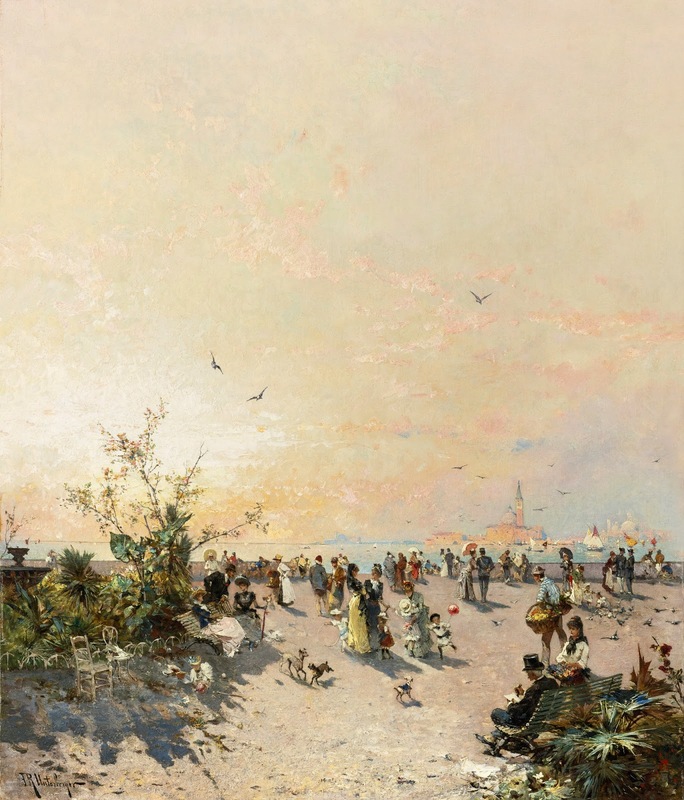 In 1860 Unterberger continued his studies in Düsseldorf; in what was to be a particularly significant period he was much taken by the work of Oswald Aschenbach [1827-1905] a landscape painter and his brother Andreas [1815-1910] also a landscape painter who worked extensively in Scandinavia before moving to Italy in the 1870’s. 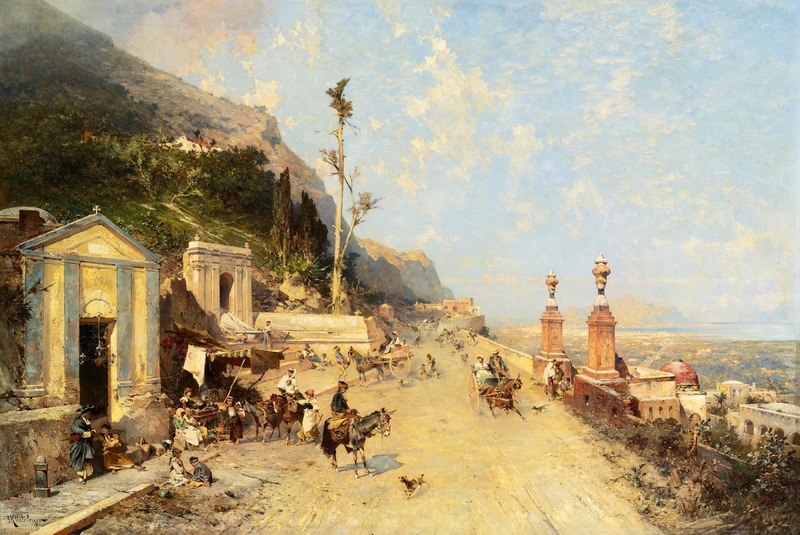 Düsseldorf was the favoured academy for Scandinavian painters studying abroad and as a result of this northern influence Unterberger was drawn to Scandinavia where in the early 1860’s he produced a number of atmospheric mountainous scenes. 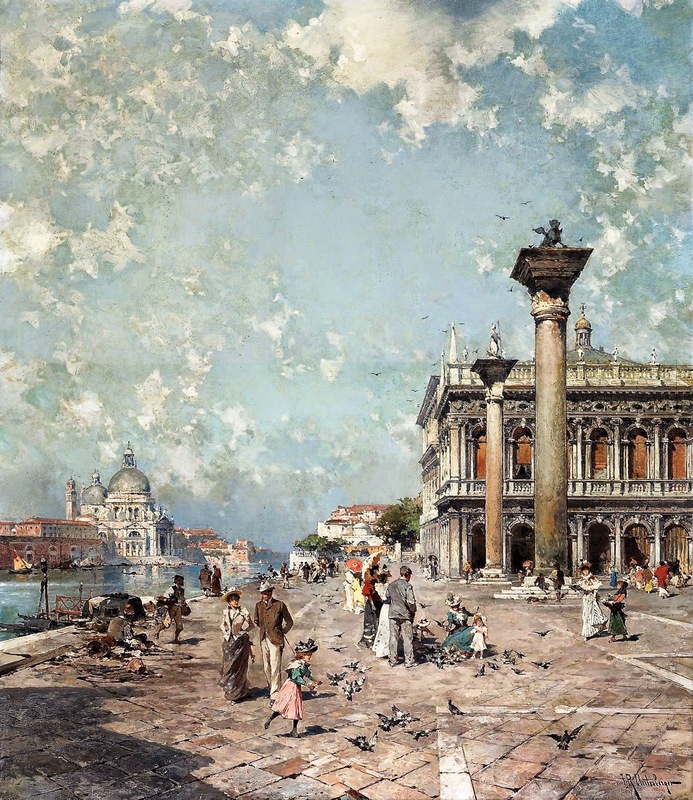 Following this period Unterberger moved to Brussels, largely since he believed the art market there was likely to be more lucrative, he was to live and work there periodically for most of his life, though never acquiring a property or citizenship. 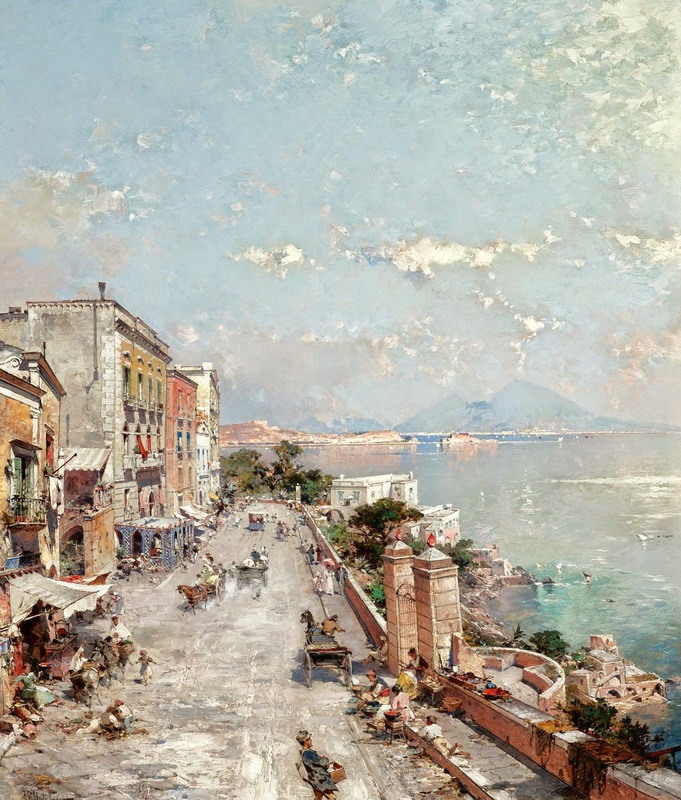 Unterberger was becoming a truly European artist, in the 1860’s painting from Norway to Sicily. 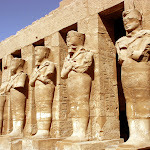 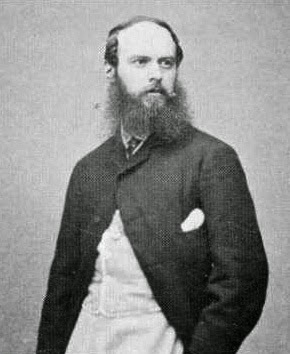 By the 1870’s he was exhibiting throughout Europe, Hamburg, Antwerp, Brussels, Berlin, Stuttgart, Paris, Munich, Vienna and in addition Philadelphia and Boston. 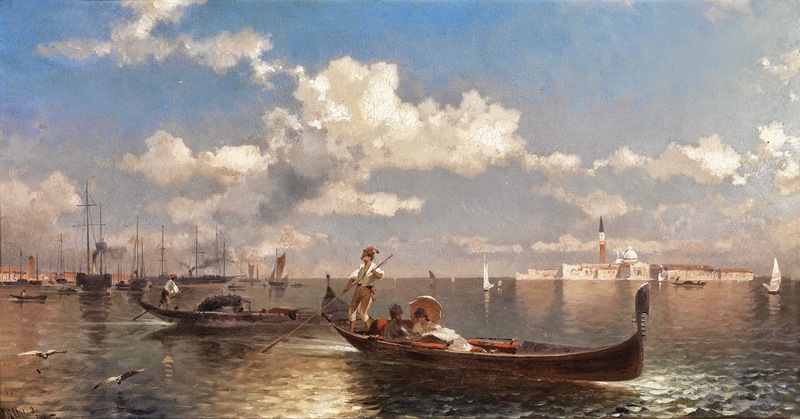 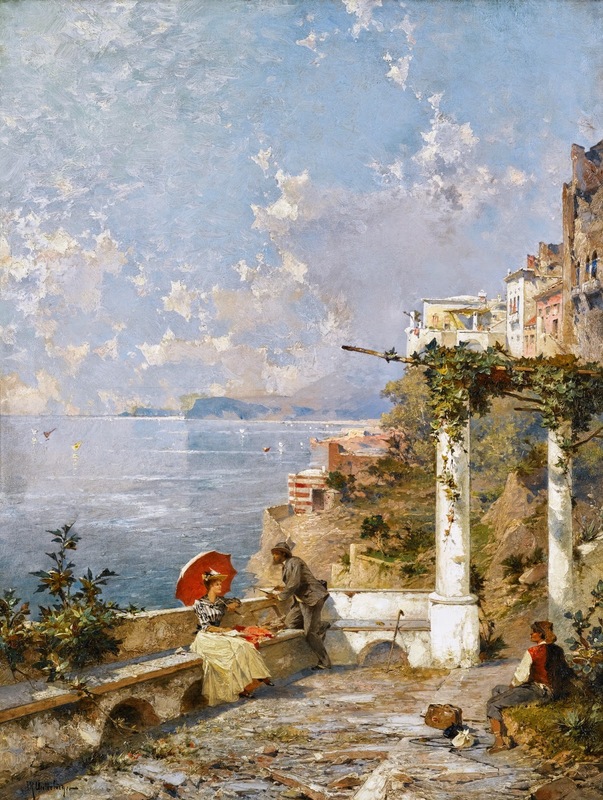 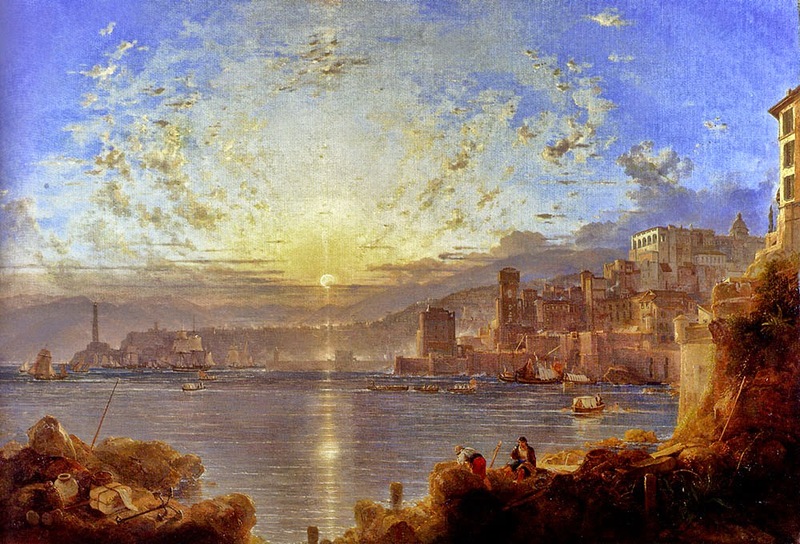 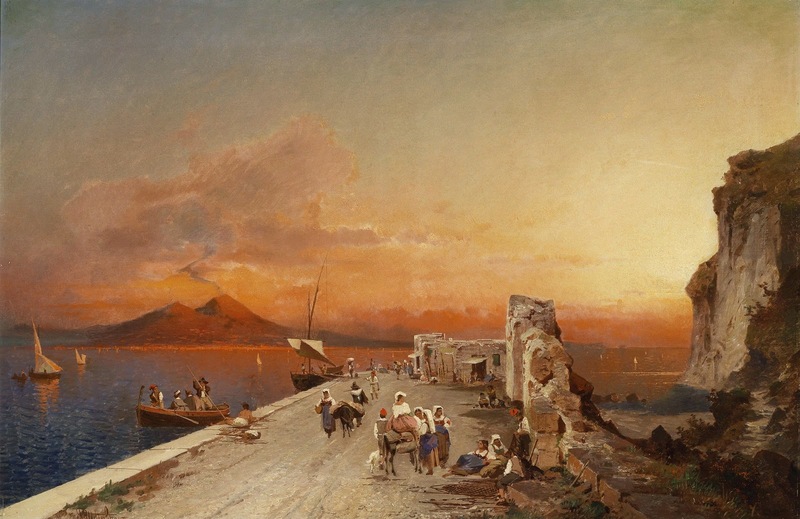 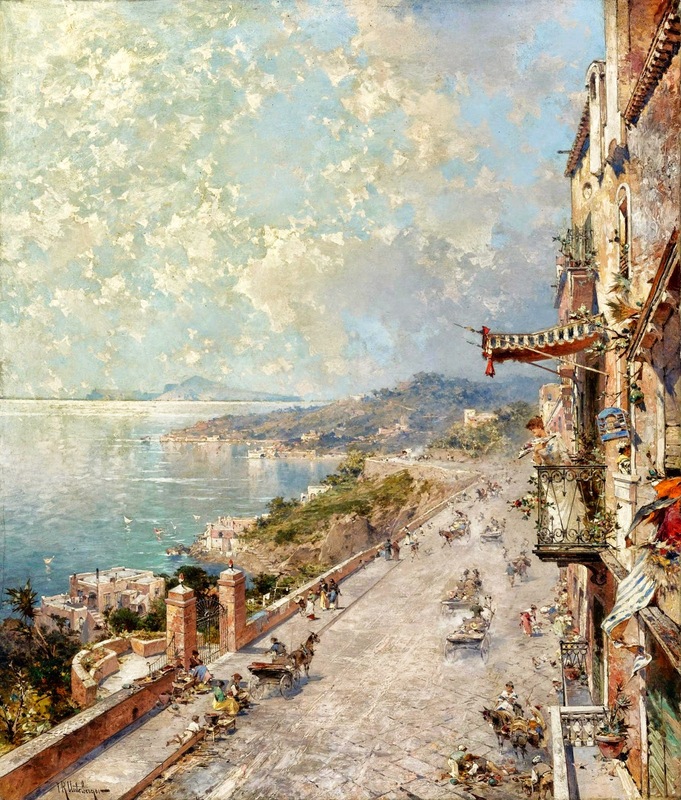 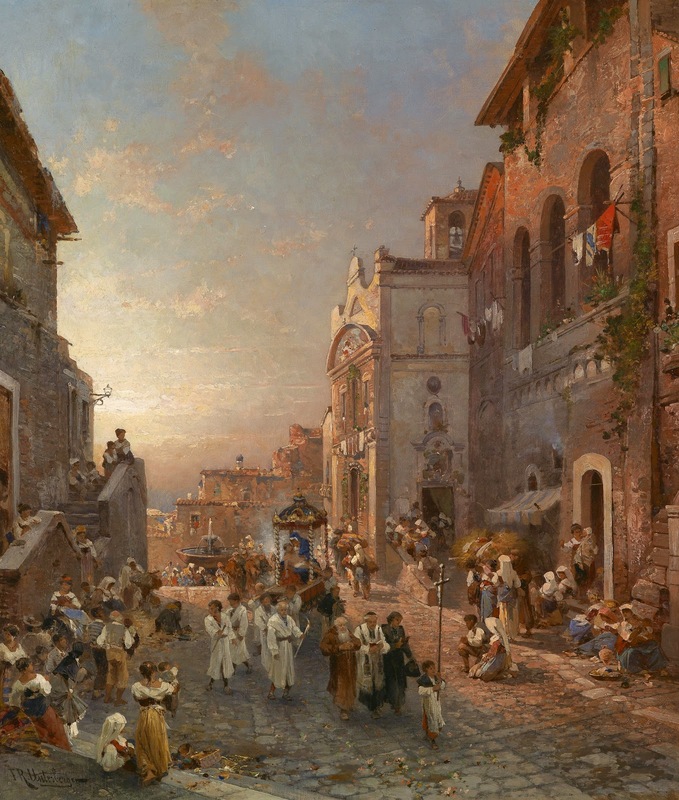 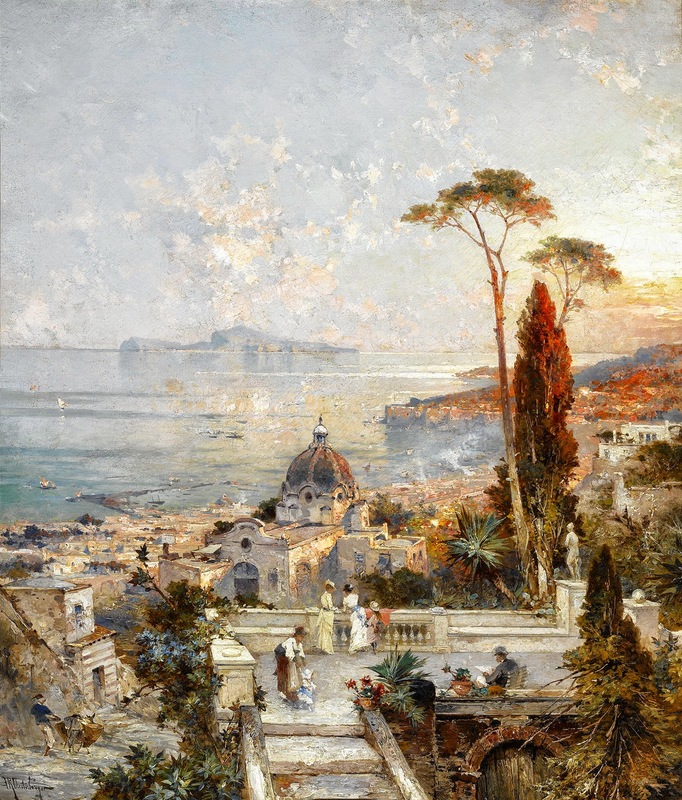 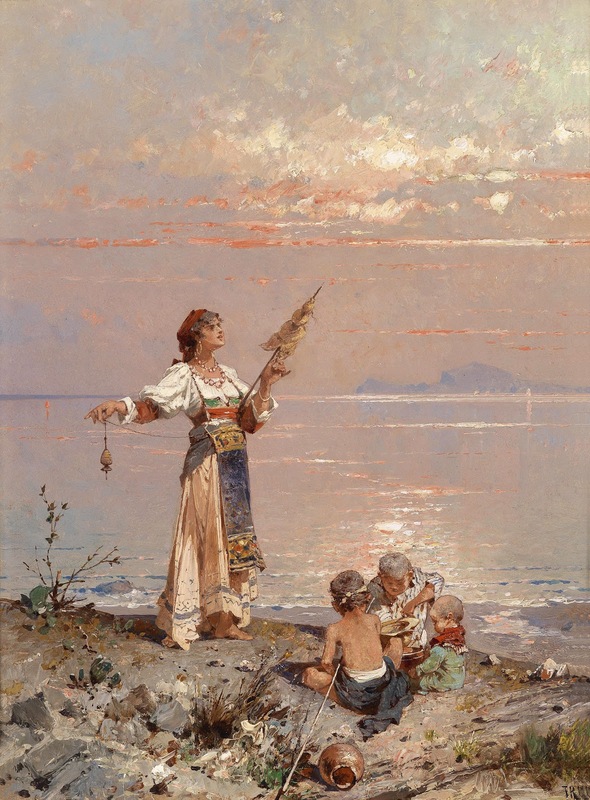 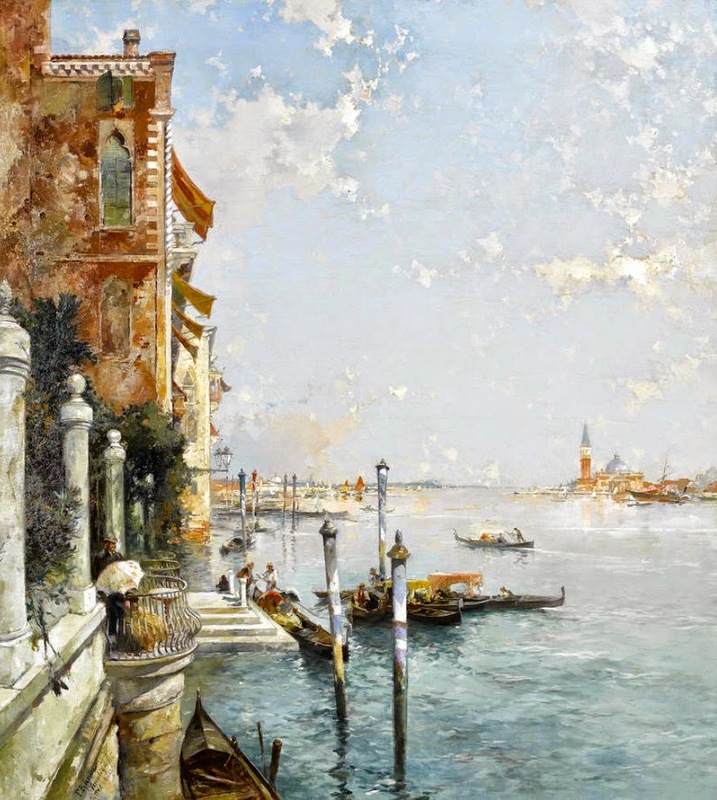 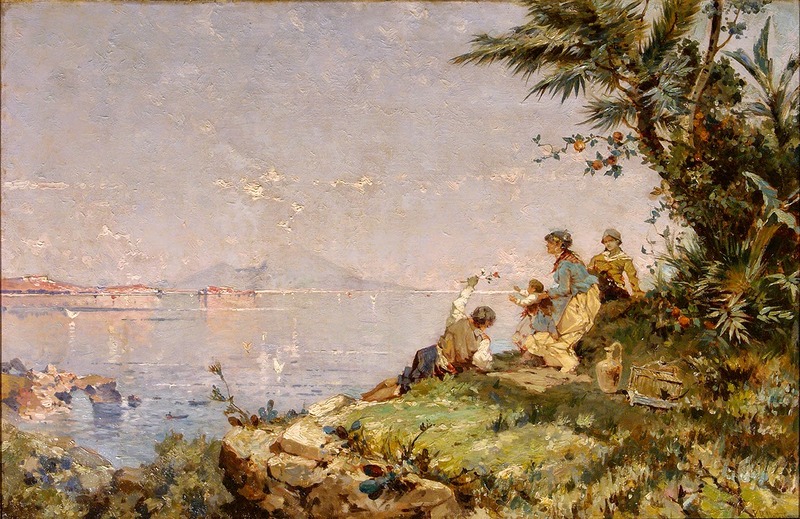 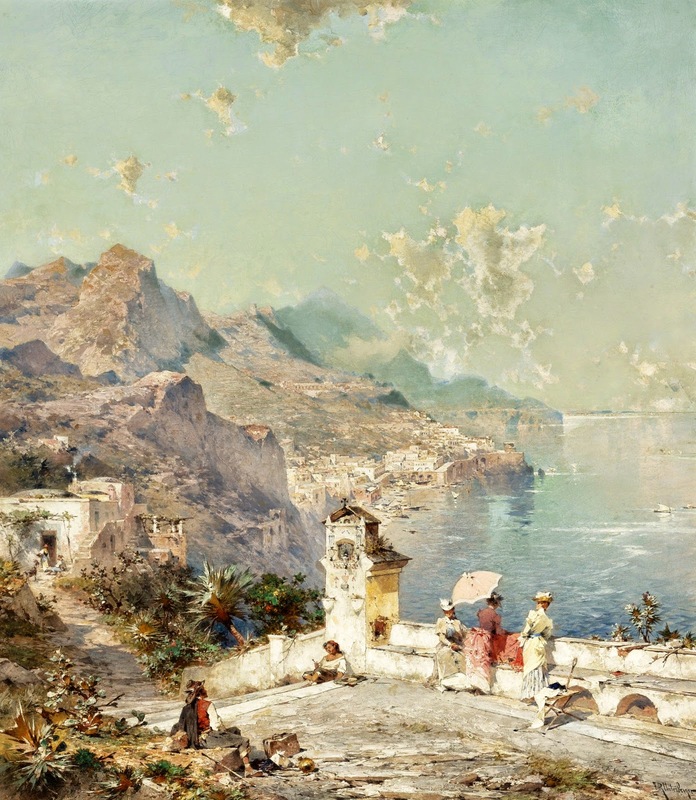 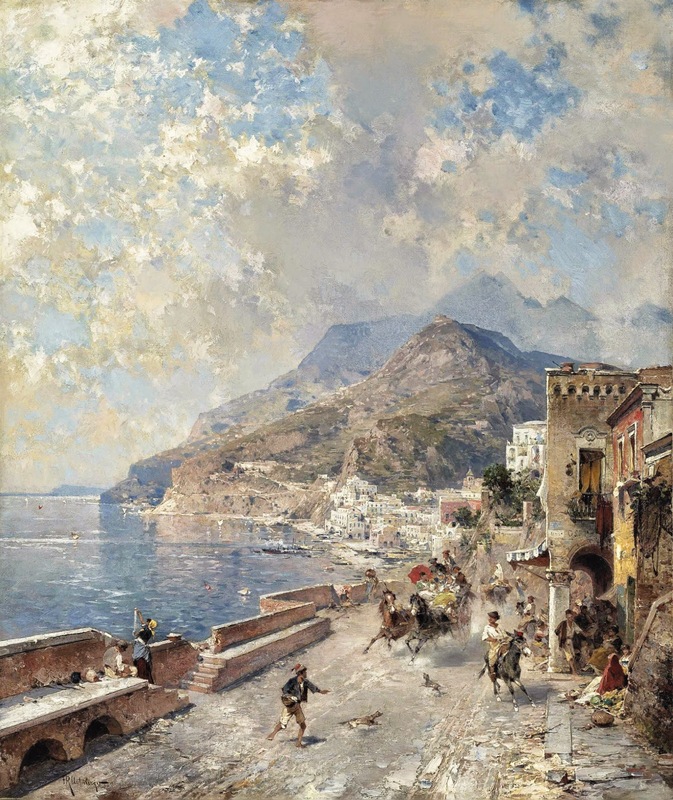 He was now painting panoramic Italian scenes, coastal landscapes set in Southern Italy, Capri, Naples, Amalfi, Sorrento, Palermo and views set in Venice his works suffused with a warm Mediterranean light and a shimmering silvery tone. 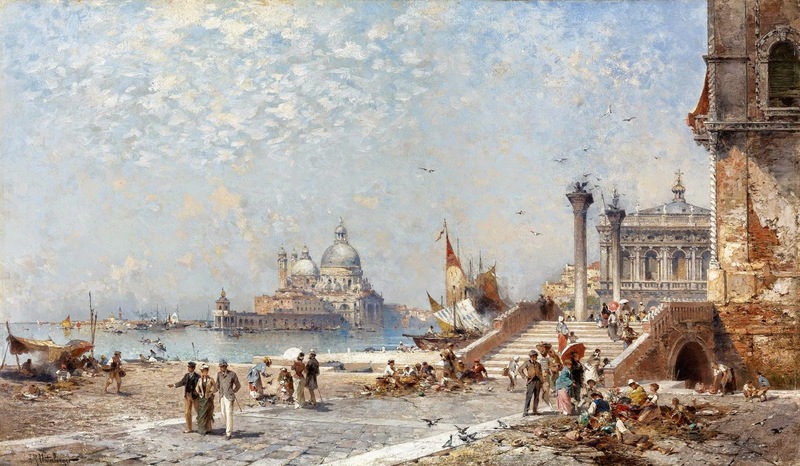 In 1883 Unterberger exhibited in Venezuela and the following year in London at the International Universal Exhibition, in the Austrian section, he was an artist with a huge International following. 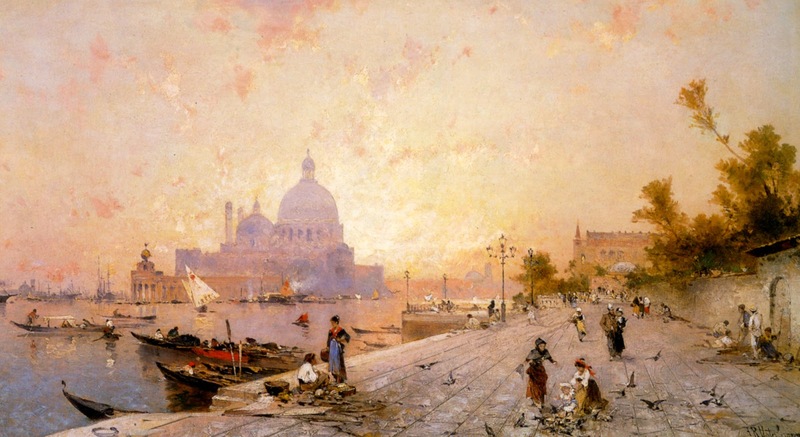 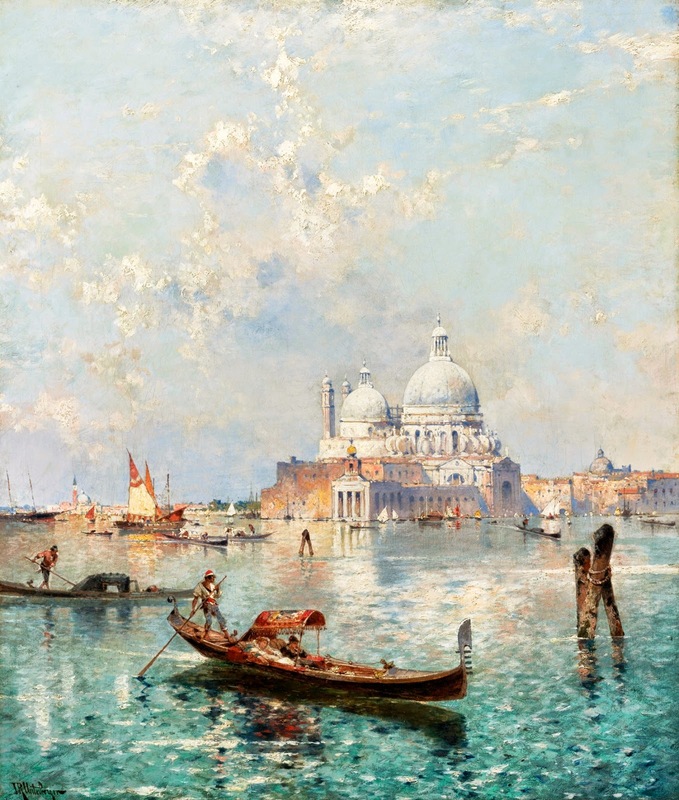 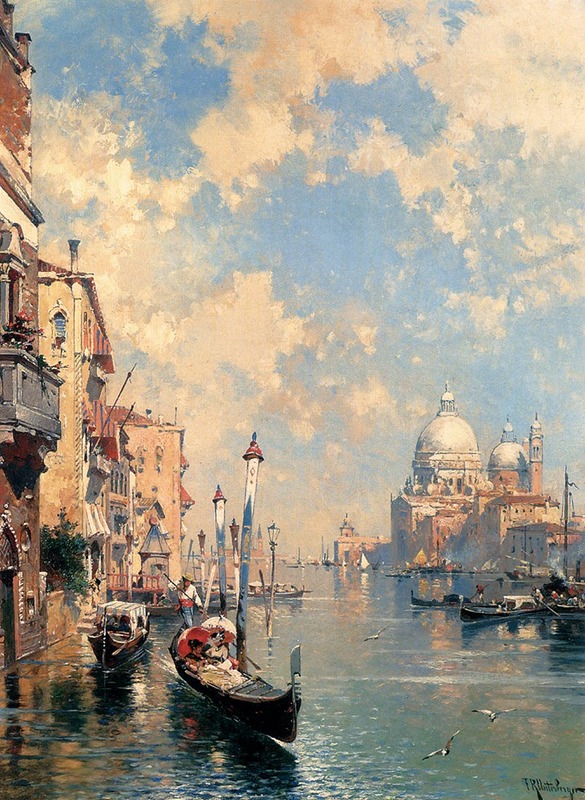 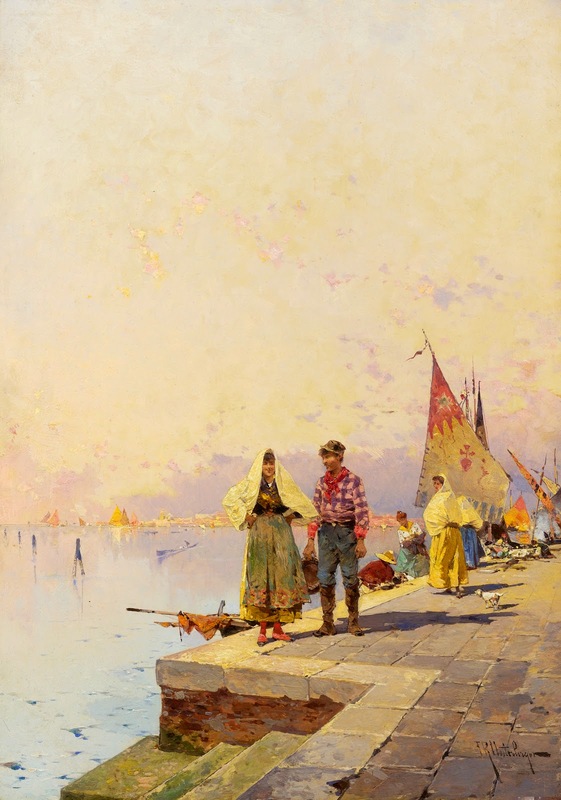 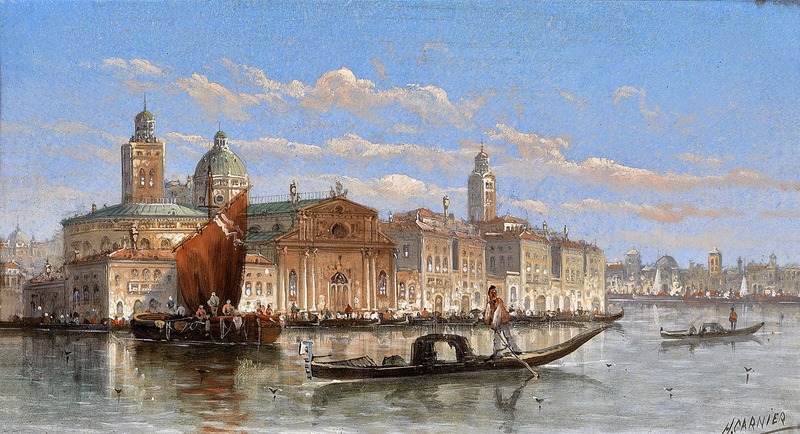 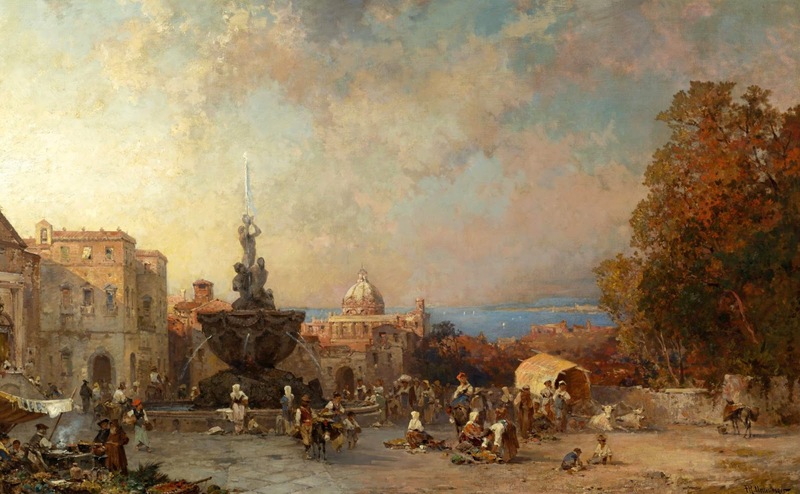 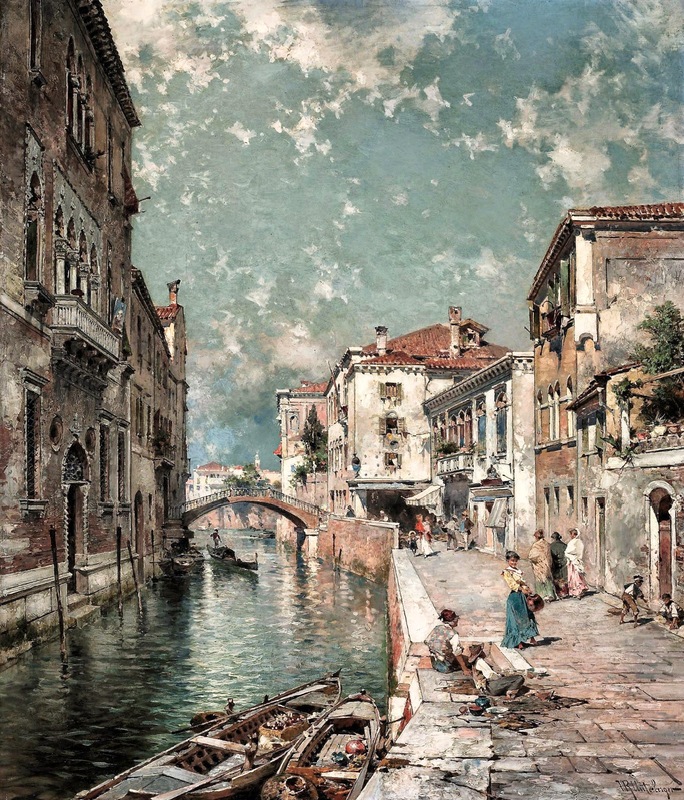 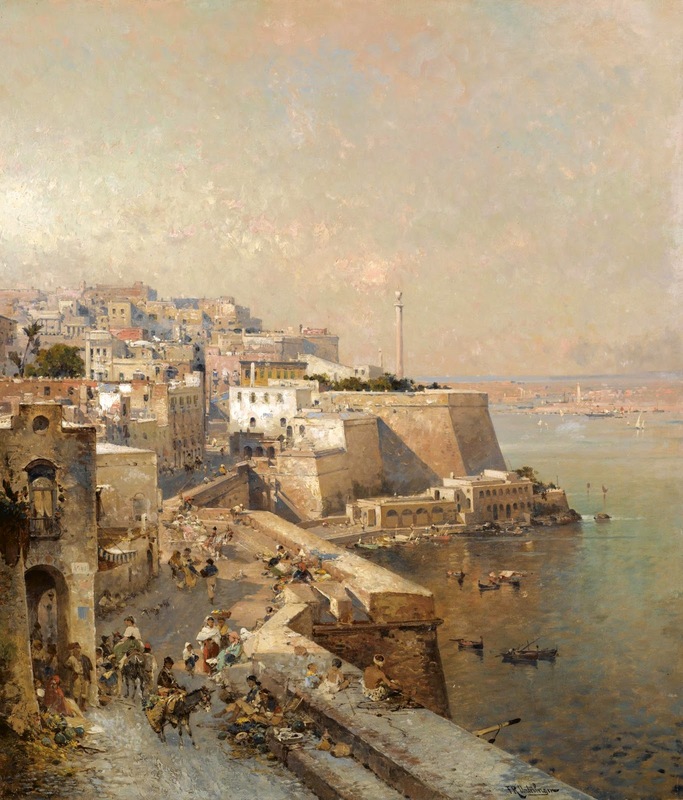 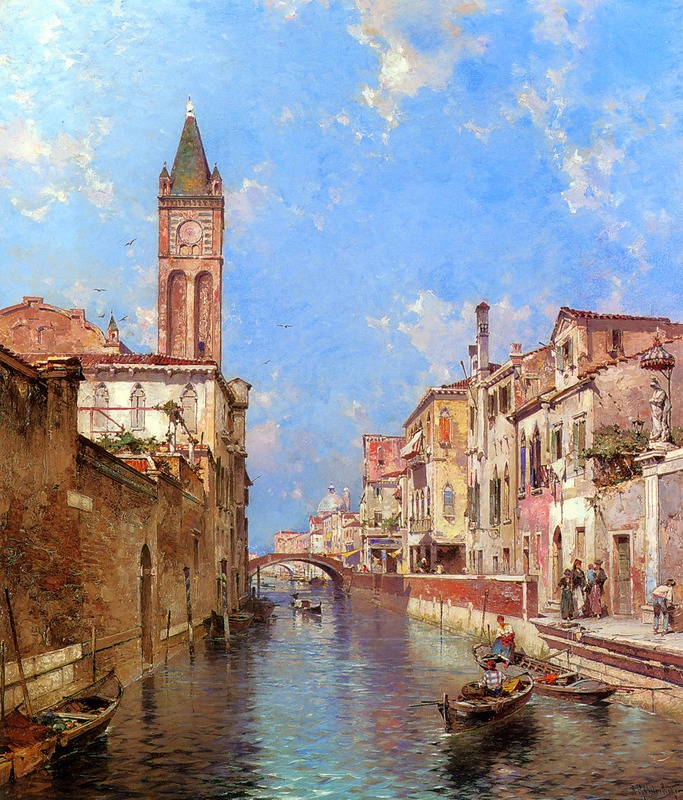 Southern Italian and Venetian scenes formed the majority of his output in the 1890’s, in his later years Unterberger moved to a studio in Neuilly-sur-Seine where he died 25th May 1902. 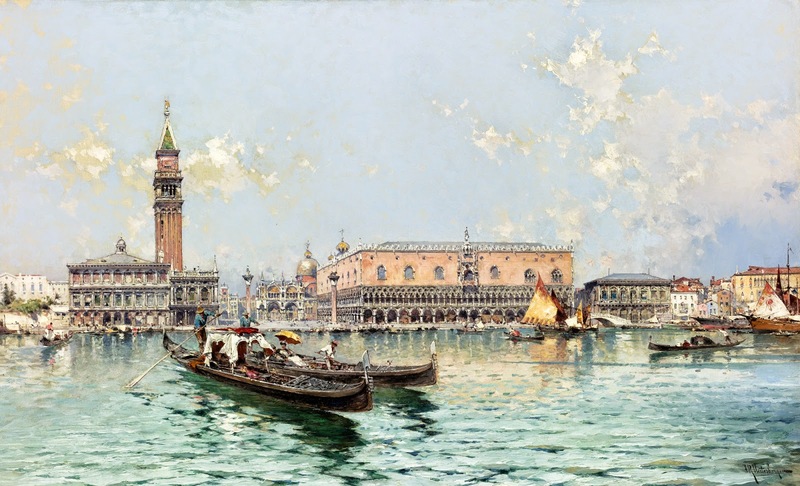 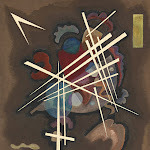 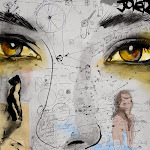 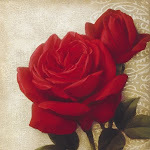 His works can be found in museums in: Amalfi; Louviers; Troyes; Venice and Melbourne.